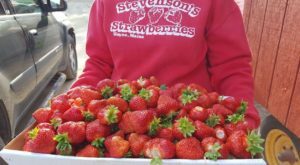 Summer in Maine has been top-notch, if we do say so ourselves! Bright sun, sweet breezes and lots of sun have us believing that January temps were just a dream. Or, maybe a nightmare. Either way, we’re happy to have a reason to go swimming lately. 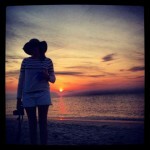 We’re even happier to have some great places to do it. 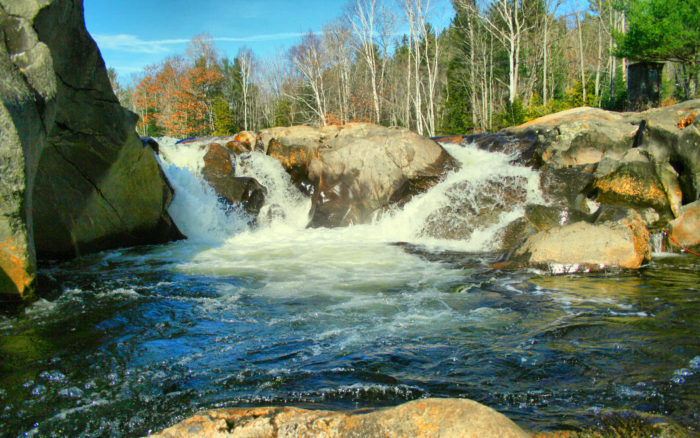 These natural swimming holes in Maine offer a great way to enjoy the outdoors without battling the crowds of the beaches and lakes. 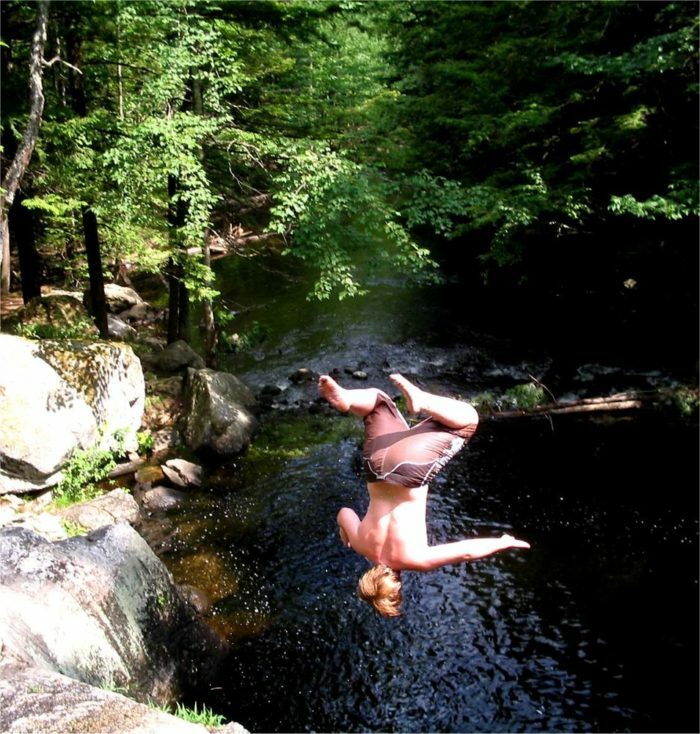 This magical pool might just be the perfect example of a summer swimming hole. 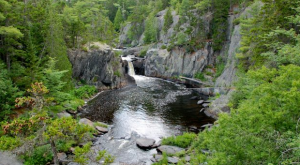 Nature lovers will appreciate the rocky ledges and perfectly clear water. Adventure lovers will appreciate the deep water allowing for epic dives. 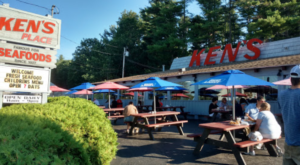 The area is also great for kids. Take them to the shallower upper pool which is less daunting. Be cautious after a heavy rain as the river can start running quickly. This area of the Mousam River has lots of rocky places from which to jump! This pool can be found just off Mousam Way Trail near Sanford. To visit, find trails with blazes indicating "M." You'll find the right trails at the Sanford Springvale Recreation area on Route 109, Mousam Way Park and Pavilion, Gowen Park on Main St., as well as the Sanford/Springvale YMCA. While the notion of a natural pool evokes images of hidden places to swim, Coos Canyon is actually located just off of Route 17. 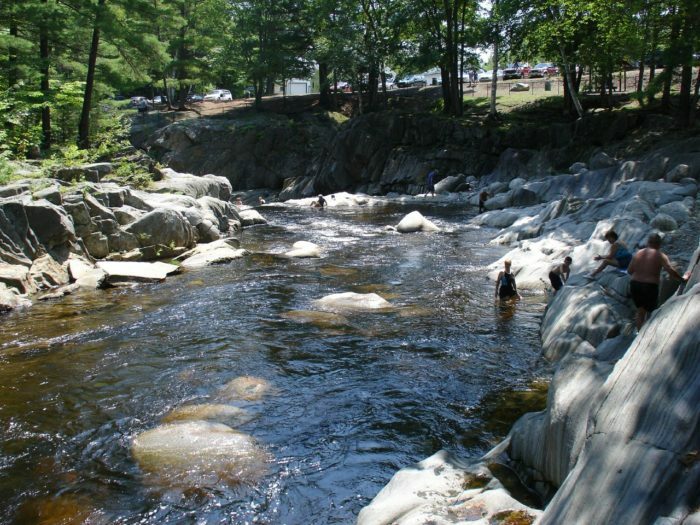 The natural pool exists where the Swift River flows through two steep sections of rock. The area is slipper where you get into the water, so be cautious. Then, have fun! 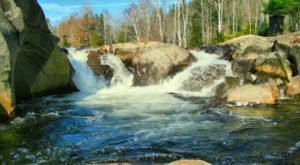 Three Pools can be found in the Swift River, right at the base of a small section of falls. To find it, park along the road and walk towards the river. Soon you'll find yourself at the ledge where you can access the water. 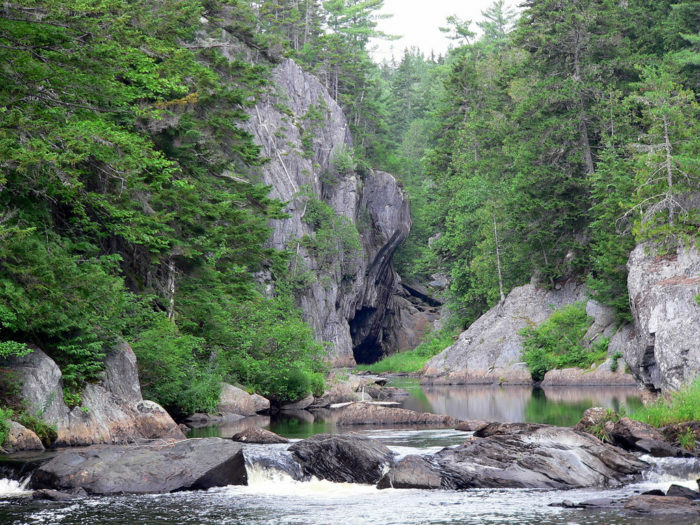 You probably know Gulf Hagas as the "Grand Canyon of Maine" and after one visit you'll know why. The best part of this pool is what you'll have to do to earn your dunk. 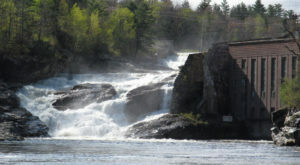 Hike the 8.6-mile loop and stop along the way to jump in at the base of some of the falls. A trip to Pleasant Ridge doesn't include just one place to swim, but many. 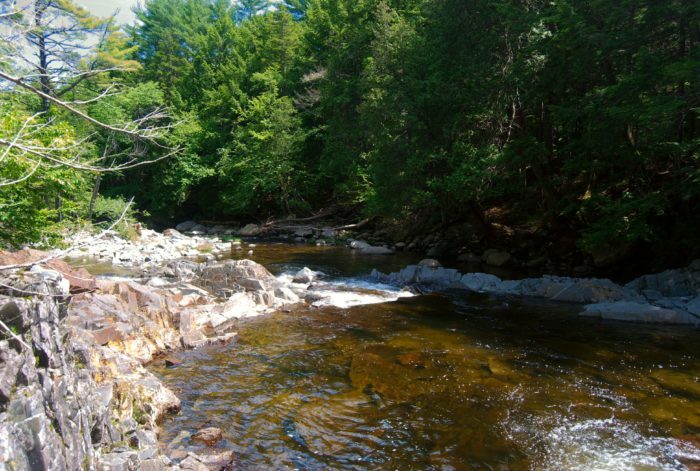 They're all found near Wyman Lake, where Houston Brook empties along the Kennebec River. The 40-foot waterfall is beautiful and the pools are a mere 10 minutes from the road. 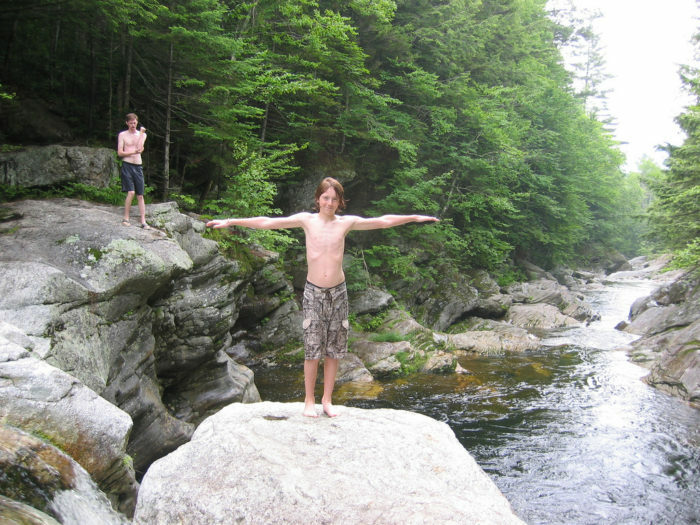 Okay, okay, we'll admit it - the map tells us that Emerald Pool is actually in New Hampshire, but Mainers have been treating this as a local pool for decades. 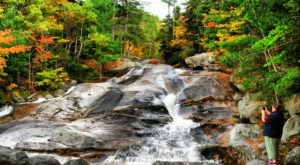 It's located just off the Baldface Loop Trail in Chatham. 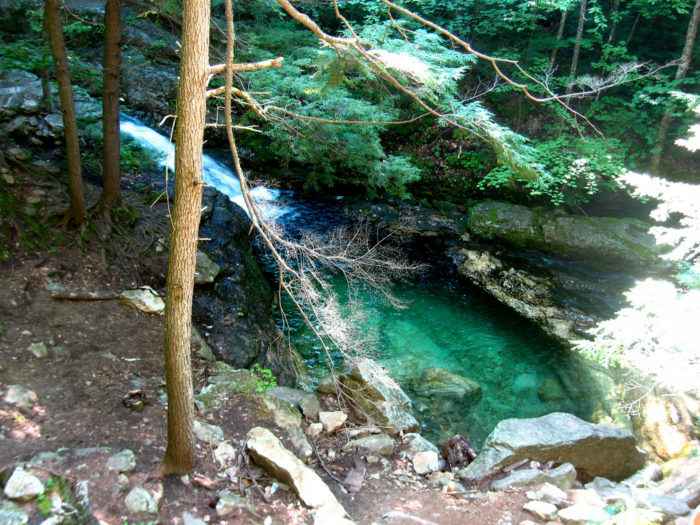 The water, fed by a 20-foot waterfall, is delightfully crisp and clear water with a gorgeous green glow. Getting to this pool requires some dedication, but we promise that it's worth it! The pool, fed by Rattlesnake Brook, is completely clear, but very cold. Be sure to work up a good sweat looking for it! 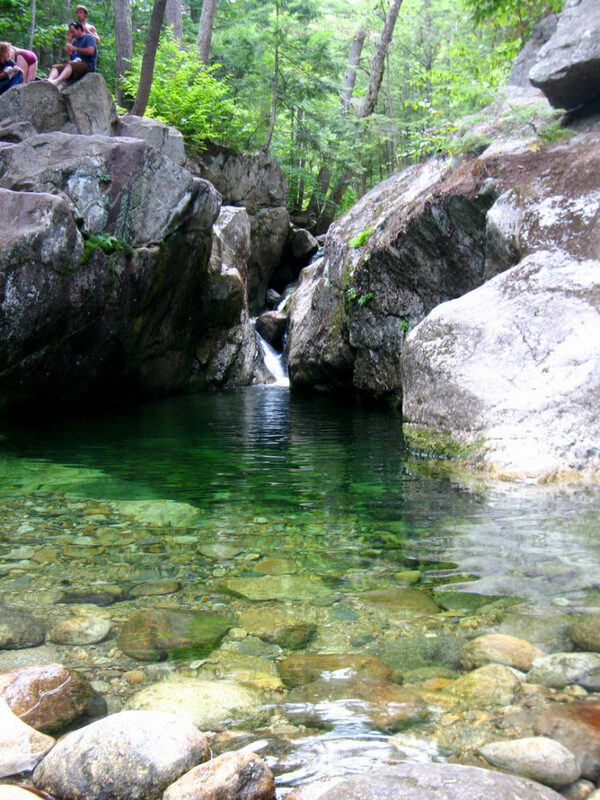 Start by taking the Stone House Trail in Evans Notch and then veer off to hit the pool. The pool is located on privately owned land, but the public is permitted to access it via a fairly easy hike very near Blueberry Mountain. This is another area where you'll find a few pools with one stop. 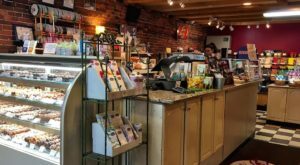 Kids will love it, but it's also engaging enough for those who love adventures. Access the lowest pool from the parking lot and the rest are just a short trip up the rocks. We love these pools because many of the areas are deep enough for jumping. But, always check depth by getting into the water before jumping into any body of water. 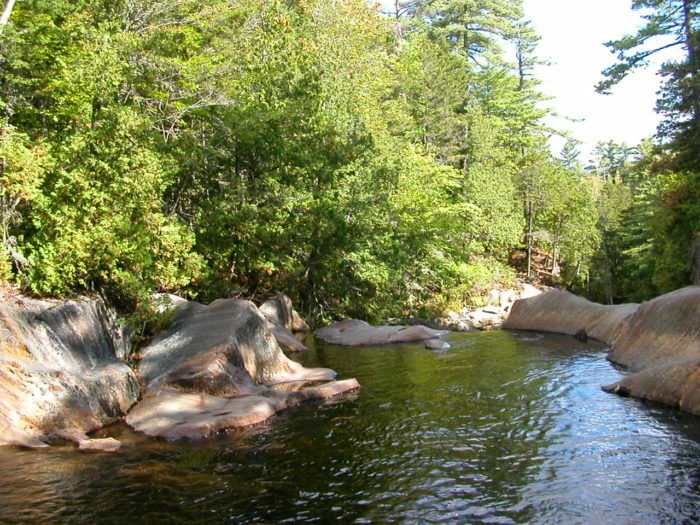 While not entirely a "pool" this area of the Presumpscot is a great place to cool off. 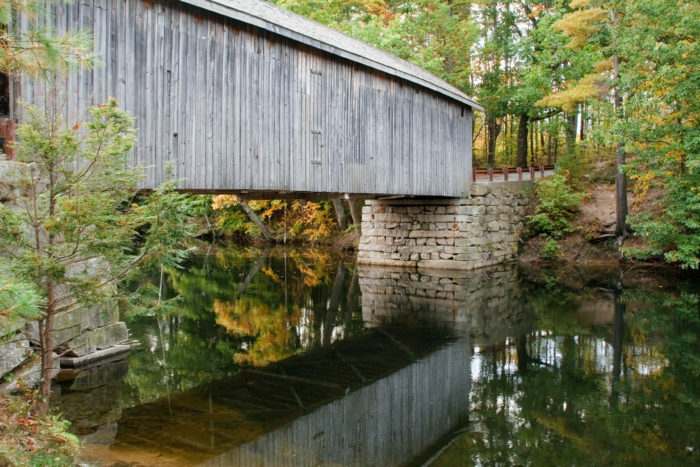 There's a rope swing next to the covered bridge in South Windham that will let you really make a splash. To find it, start in the center of Gorham. Take Route 202 east for approximately 4 miles. From here, make a left onto River Rd. and drive about 2 miles. The bridge about a half mile from Covered Bridge Rd. A great way to work up a sweat is this hike. 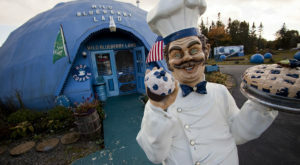 It’s short, sweet and leads to one of the most intriguing pieced of Maine history.